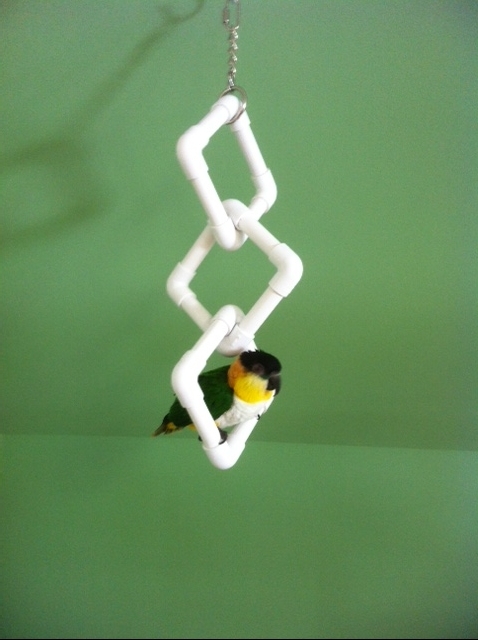 WE STARTED PUTTING SINGLE SQUARES ON ALL OUR CONVERSION/KITCHEN SINK HANGING GYMS AND ALL THE BIRDS REGARDLESS OF SIZE, LOVED TO SWING FROM IT. WE HOOKED THREE TOGETHER AND THE REST IS BIRDARY! Comes In Three Sizes. Click the button below to add the 4 SQUARE MINUS 1 (SMALL) to your wish list.